Puppy Training doesn’t have to be as hard as you think. Take the time to learn and understand the way your puppy thinks and learns. Read the summary below on the basics behind puppy training 101. 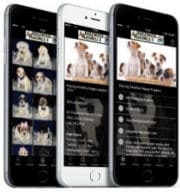 Explore the related links and save yourself and your puppy the stress often associated with puppy training! After you take your new puppy home, we want to make sure you have the best experience possible. You can contact us anytime and we will help you through any training questions or behavior problems. When your dog is out of his crate, the best way to manage his time and to know exactly what he is doing is by keeping him on a leash and tethered to you. This way he can’t go around the corner of the couch and do his business if you don’t let him. 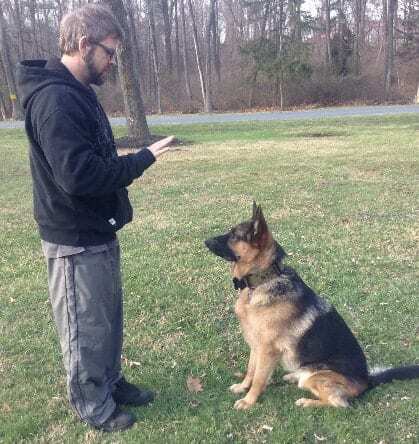 – a technique that will teach your dog through repetition. For example, if he’s chewing the coffee table, get his attention, and redirect him to a choo hoof or his favoride toy. – This can come in the form of a praise, treats, or toys. When your puppy does something you like, reward him. The key here is to reward right away. Your puppy can only hold a thought for maybe a second. If you reward him 30 seconds later he will have no idea what your rewarding him for. Repetition – it can take as many as 50 repetitions for a puppy to make an association to an action. Consistency – It’s your job to be consistent. The more consistent you are the faster your new puppy wil learn. Here are some great links, some written by us, some articles written by a world class k9 trainer on the west coast. These articles are all training techniques that have been used and recommended by us. In addition to these free articles, these techniques are also available through his website in the form of DVDs.